1. 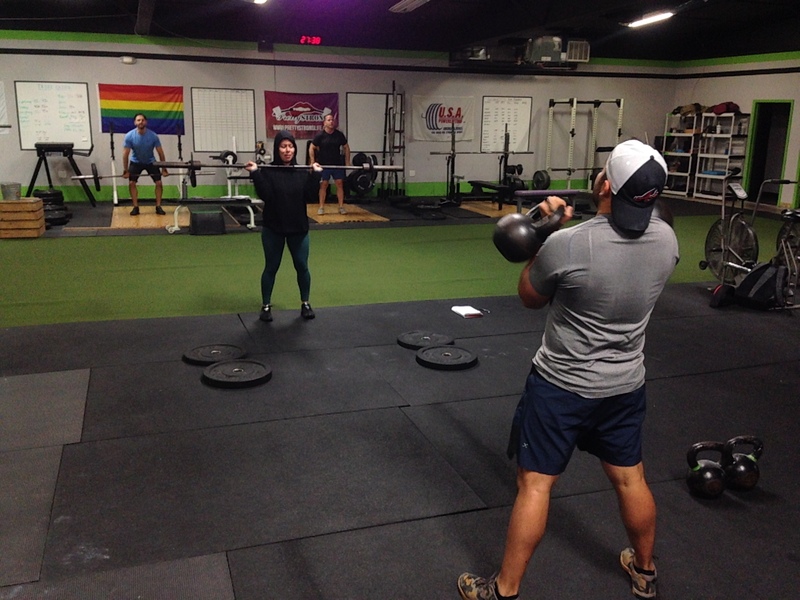 Kettlebells are easy to use in a HIIT workout, since you can quickly transition from one exercise to another. 2. You can do explosive moments with kettlebells (like the swing), which help you get that heart pumping and torch calories. 3. Performing a kettlebell conditioning workout 3x a week can improve your VO2 max (a measure of your aerobic fitness) by as much as 6%! Plus today’s deadlift work will get you stronger just in time for the weekend. Saturdays are for Friends: Bring a friend free to tomorrow’s workout at 9:30am! All fitness levels welcome. Pilates: This Sunday at 11:30am, Amy P. will be teaching Pilates in lieu of the normal yoga class. You can now register for Sunday’s Yoga class on Mindbody. Start at about 50% and work up as heavy as you can with absolutely perfect form within the time limit. Do not rush the movements, focus on quality.